Home / Collections / Miss Whereate? 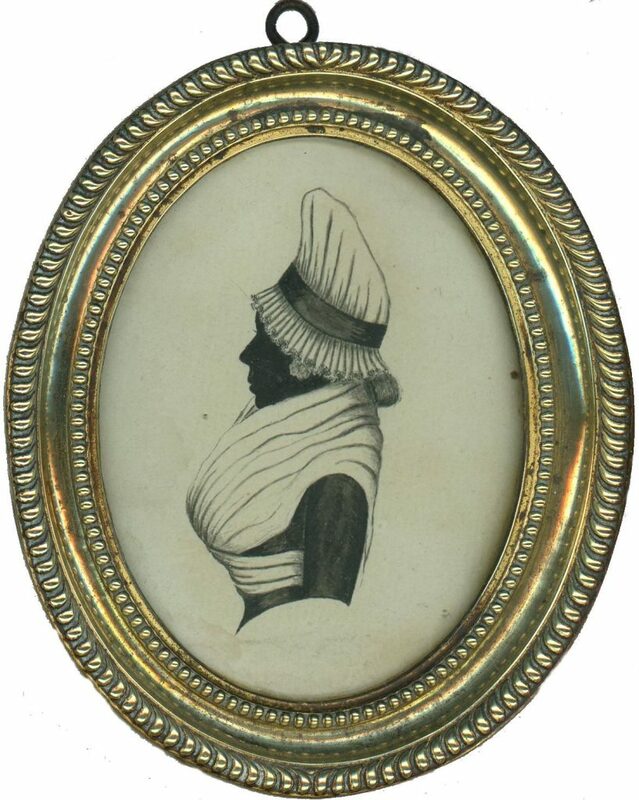 Although an inscription on the reverse of this silhouette dates it to “about 1820”, the style of the lady’s dress with its buffon and her mob cap worn over what appears to be a chignon would suggest an earlier date closer to the 1780s. 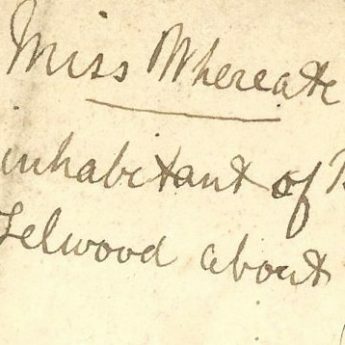 So either the writer of the inscription guessed the date incorrectly or the sitter had not updated her manner of dress for a couple of decades, as indeed more mature ladies were sometimes guilty of! Most likely the apparent discrepancy is due to a combination of these reasons. Painted on laid paper in black and shades of grey with a hint of gum arabic, the profile is indistinctly inscribed reverse in a later hand “Miss Whereate? Old inhabitant of Broadway, Froome Felwood about 1820”. The silhouette is housed in what appears to the original brass-faced frame and is in fine original condition. A similar silhouette painted by the same unknown hand was sold at Phillips in 1998 as part of the Martin Wilcocks collection (lot 21).